Scott M. Graffius, Founder and CEO of Exceptional PPM and PMO Solutions™, will be speaking at Techstars Startup Week. 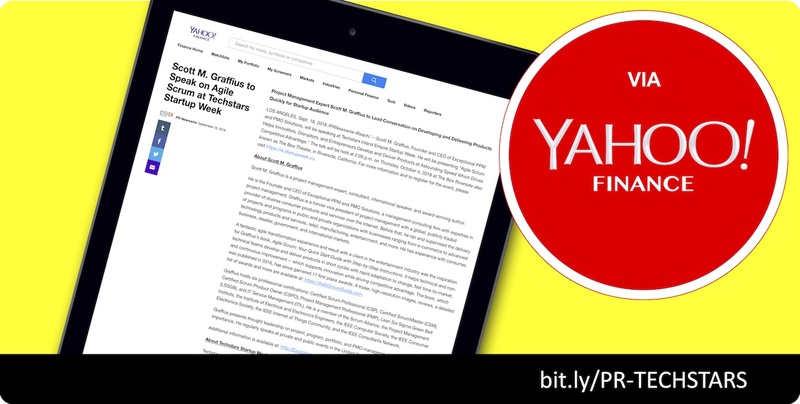 A press release, distributed today, was carried by Yahoo Finance and other media outlets. You can read it on Yahoo Finance here.